The Cleveland Browns are still trying to make Brock Osweiler happen, but we’ve all been down that road before. DeShone Kizer saw three quarterbacks taken long before him during the NFL Draft, when the Cleveland Browns selected him with the 52nd overall pick. Yet the Notre Dame product could still end up starting an NFL game before Mitchell Trubisky, Patrick Mahomes and Deshaun Watson. That’s because the Browns’ starting quarterback situation is very much up in the air. The team has suggested that veteran Brock Osweiler, who arrived via trade after a dreadful 2016 season with the Houston Texans, would start Week 1. Osweiler has looked good enough during camp and preseason to warrant getting the nod. 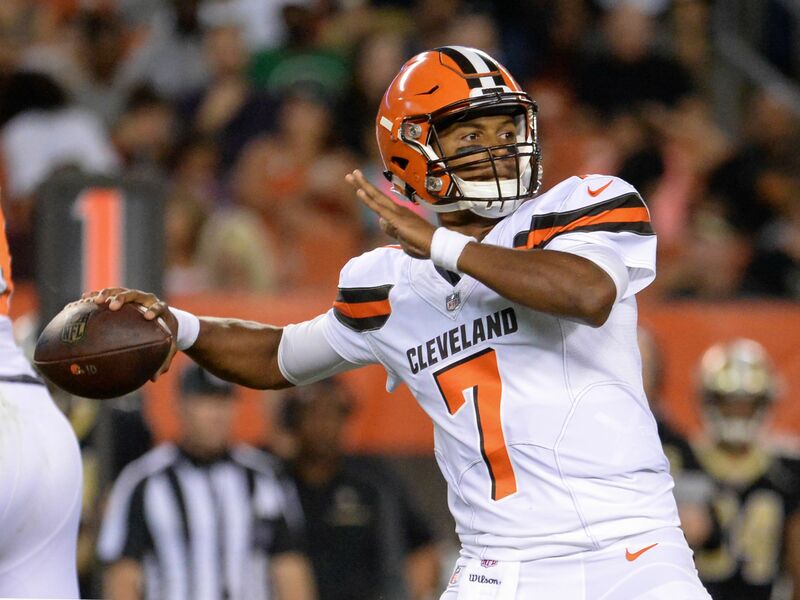 But Kizer has also looked very good, and he could still squeeze past Osweiler and claim the start against the Pittsburgh Steelers, according to Mary Kay Cabot of cleveland.com. The Browns might opt for Osweiler in the opener because of his experience, but Kizer can make the decision difficult with a good Monday night performance and a solid “dress rehearsal’’ game in Tampa the following Saturday. Cleveland quarterbacks coach David Lee raved about Kizer’s arm, noting that, “You can throw whatever you want to because he’s got such great arm talent.” It’s the rookie’s command of the subtleties, things that didn’t always show in his play for the Fighting Irish, that might be more surprising to some. Kizer had the football acumen to succeed at this level, as evidenced by a play in the first preseason game in which he cleared out the linebacker with a shoulder-shrug and completed a 22-yard comeback route on third-and-24. And yes, people might expect a Notre Dame signal-caller to be heady, but Kizer didn’t always make the best decisions in his college career. Even his former coach Brian Kelly was among those who thought maybe he’d be better off staying for another season at ND. He certainly wasn’t seen as the most NFL-ready of the QBs taken early in this year’s draft, but he might be on track to prove the naysayers wrong. Keep an eye on the Browns’ final two preseason games, because the clues about whether Kizer’s time is now might play out right in front of you.